Electrical safety specialist Bender UK has received a gold award for its health and safety management from Peninsula Group, the UK’s largest provider of Employment Law, HR and Health & Safety consultancy services. 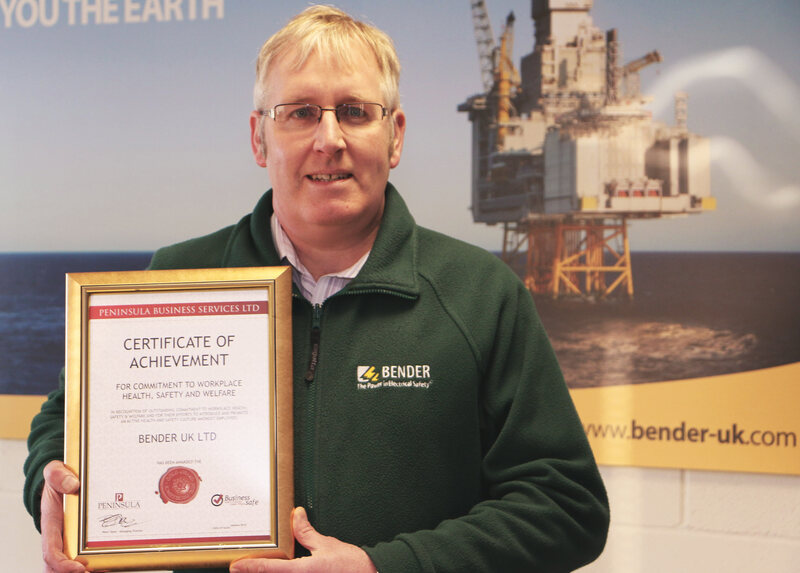 Bender received the certificate of achievement in recognition of its commitment to workplace health, safety and welfare, and the company’s efforts to introduce and promote an active health and safety culture amongst its employees. Bender UK has consistently achieved OHSAS 18001 industry’s flagship standard for occupational health and safety best practice at its headquarters in Ulverston, which houses product testing facilities and delivers, sales, service, project management and technical support.